Russell is a Founder Partner and formed Taylor Haldane Barlex LLP in 2001. From an extensive background in conducting serious and complex criminal cases, Russell is now a leader in the specialist area of Professional Misconduct, defending Professionals facing proceedings following often protracted Misconduct and Criminal investigations. Russell is frequently called upon to represent the interests of those involved in Post Incident Procedures following Death or Serious Injury at the hands of the State and is subsequently instructed to safeguard those appearing before HM Coroner at Inquest. He enjoys national and international recognition in this specialist field, provides accredited training on behalf of and to the Police Firearms Officers Association, the Police Federation of England & Wales, overseas Police Associations, Counter-Terrorism and all limbs of HM Armed Forces. Russell is expert in representing those facing allegations of Misconduct in Public Office, Official Secrets Act breaches and those seeking advice in respect of the making of Protected Disclosures. 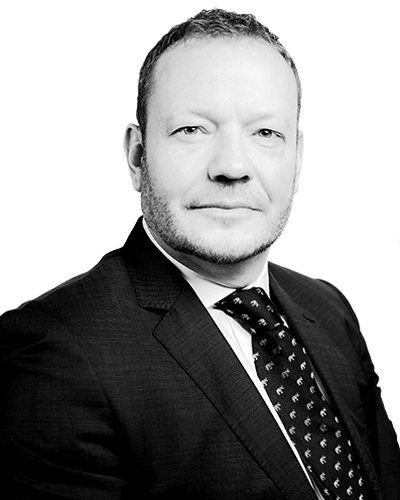 Russell has unrivalled experience of representing professionals at Misconduct Proceedings both nationally and internationally (to include Jersey, Guernsey, Gibraltar and Cyprus) and is one of only a handful of Practitioners in this specialist field to be admitted as an Advocate both in England & Wales and in overseas Jurisdictions. Russell heads the Firm’s Professional Misconduct Department. Russell was instructed on behalf of the members of diverse Professions in a number of very high profile cases to include, amongst others, The Hillsborough Enquiry, Operation ELVEDEN, Operation WEETING and Operation Alice (the “Plebgate Affair”). Owing to the very obvious operational and security sensitivities surrounding matters routinely undertaken and advised upon by Russell, it is not possible to provide further citations or detail. "Recommended Lawyer' ~ "…..a litigation genius." "Recommended Lawyer' ~ "…..going the extra mile"
"UK Award for Leading Firm in Crime & Fraud." "Leading Individual' ~ "…..tactically savvy."